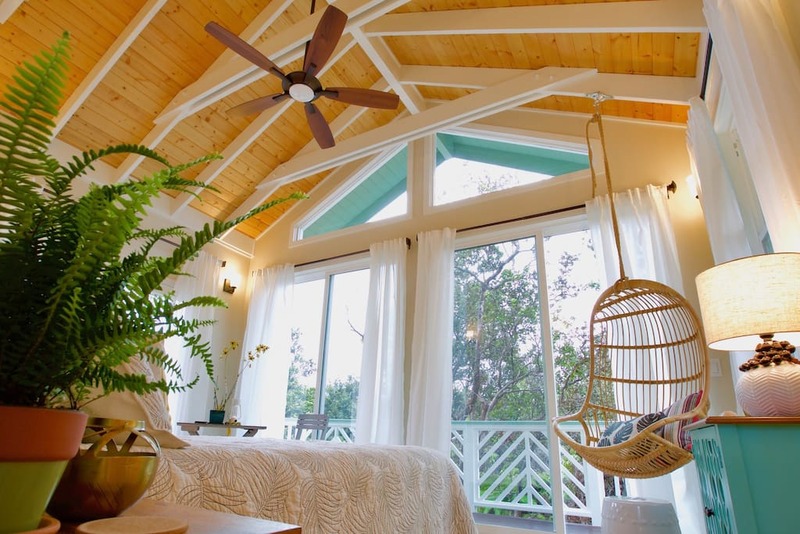 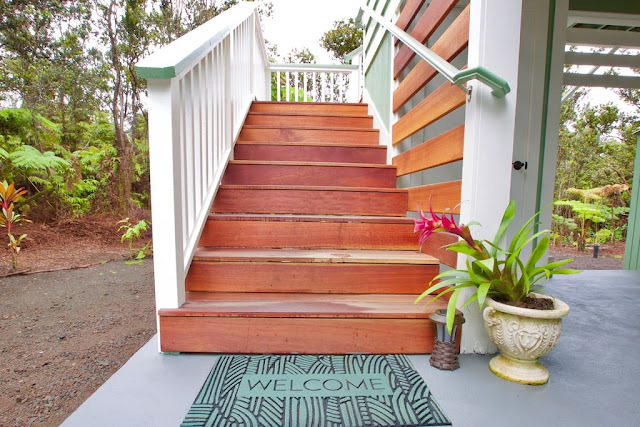 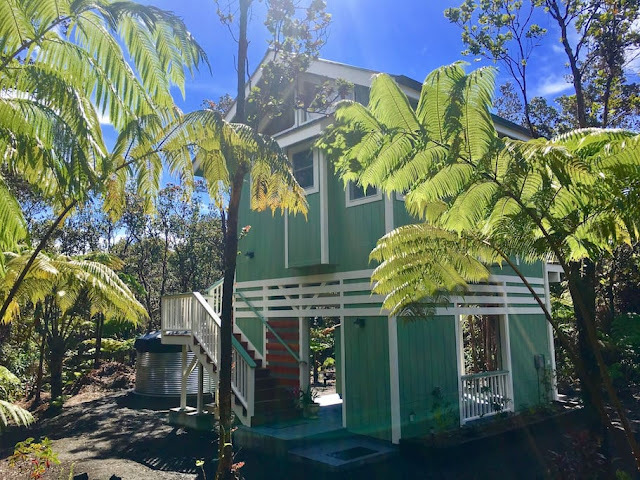 If you're looking to get away to somewhere warm this upcoming fall and winter then consider a trip to Hawaii to enjoy this beautiful tree cottage in the town of Volcano! 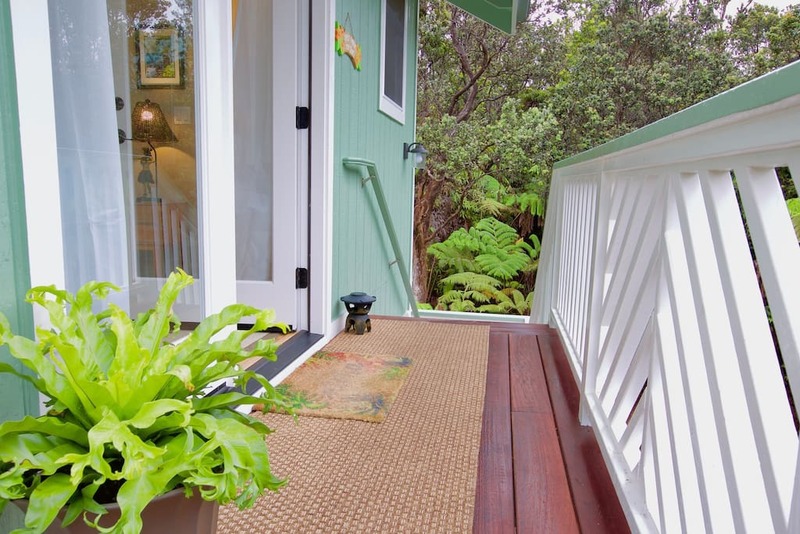 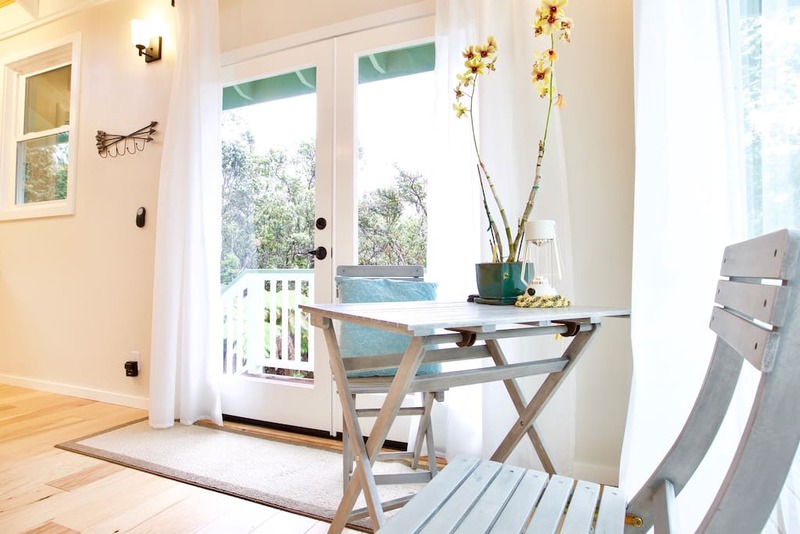 The 300 sq ft retreat is a custom-designed home that offers a serene and private getaway. 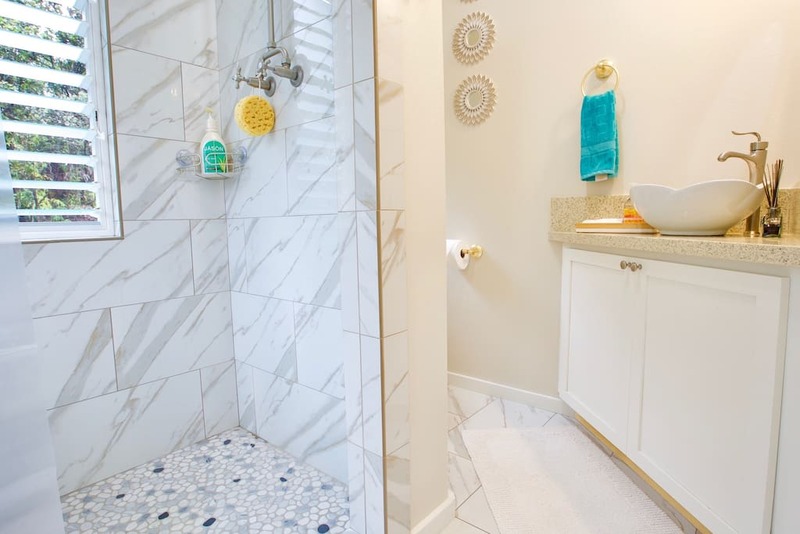 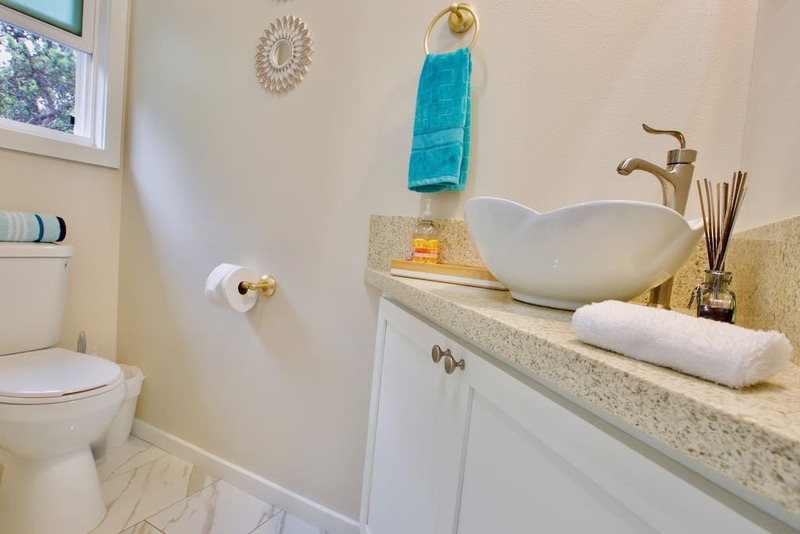 Despite the home's small size, it manages to squeeze in a lot of amenities into a limited-size space! 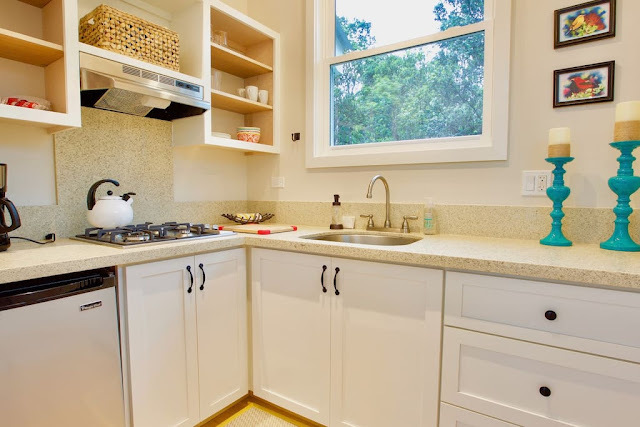 There's a full kitchen, which comes stocked with basic cooking supplies. 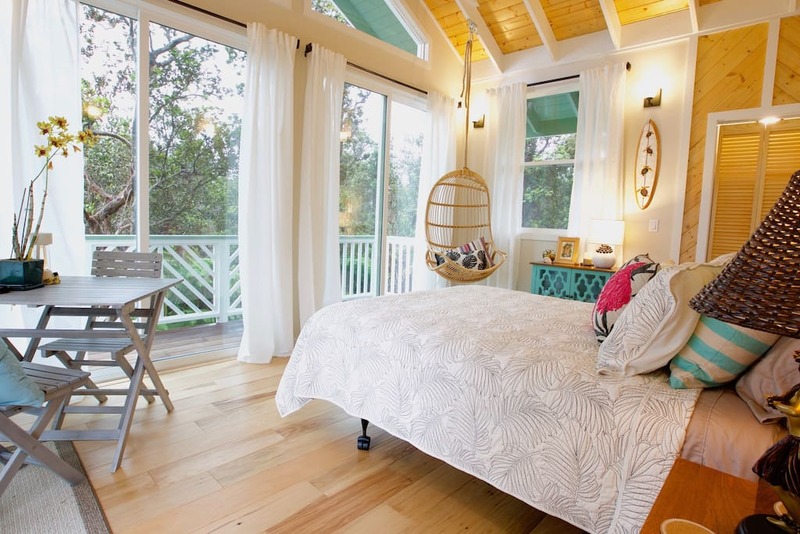 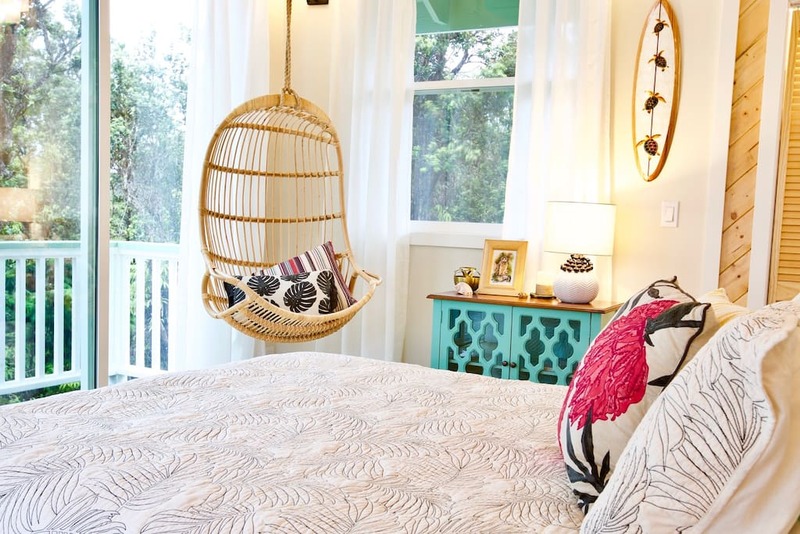 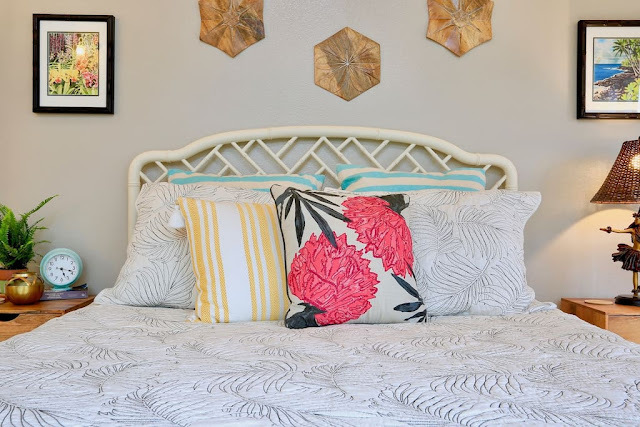 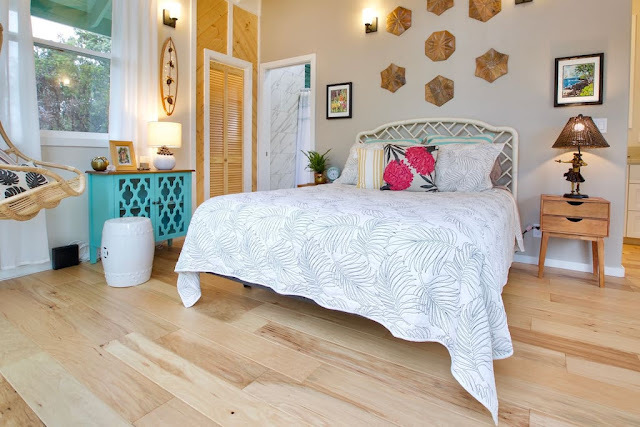 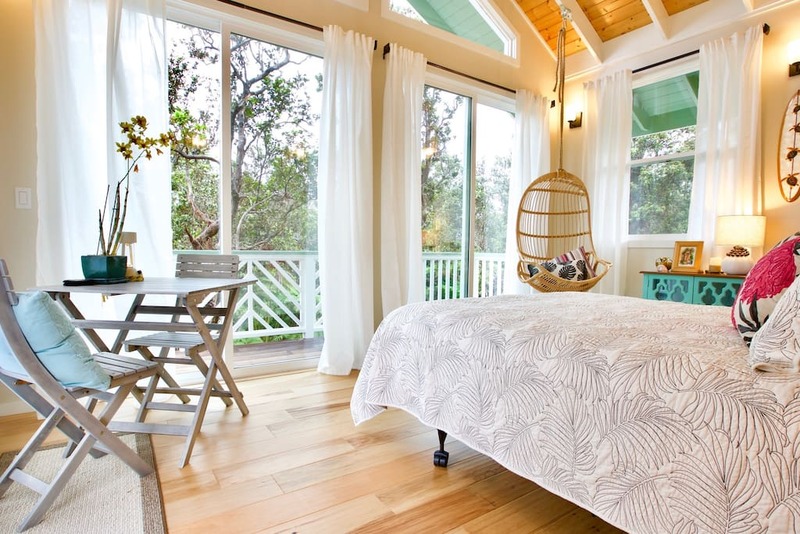 There's also a hanging rattan chair, a queen-sized bed in the home's bedroom, a bathroom with an indoor/outdoor shower, and top-level lanai off the living area for viewing the unique local flora. It's currently listed here on Airbnb for just $80 a night!